Offerings from the Estacada Grade School lunch menu included spaghetti, cheese sticks, berry cobbler and apricots. At Horner's Market, ham sandwiches were 10 cents each, and there were no limit to the number of sandwiches available to one person. Burke's Marina in Estacada offered a free boat to one lucky winner during their grand opening celebration. "This (12-foot) McGregor boat will be given to someone who visits our showroom between now and April 1," an advertisement read. "Anyone age 18 and over may enter our free drawing. Stop in and see our new line of Orrion glass boats — also Steury boats." The Estacada United Methodist Church was hosting what was described as a glutton's feast. "There will be a variety of foods for all tastes as well as nutritious dishes," The News reported. "So come and bring your favorite eating partner, gluttons and sensible eaters alike." Items from the community calendar 30 years ago included a Red Cross Blood Drive, Red Barn Preschool and Kindergarten Open House, a Spring Concert by the Mennonite Men's Chorus and the Junior High School's production of "Oliver." Collaboration among Estacada businesses resulted in new decals for Gloria's Snack Shack and free lunch for employees at Estacada Les Schwab. Mary Whitney of Whitney Signs needed a dry place to add new decals to Gloria Yanes' mobile kitchen, and Les Schwab offered the space. "Those guys are so great," Yanes said. "They are always there with a smile and their fantastic service. I just wanted to do something for them." 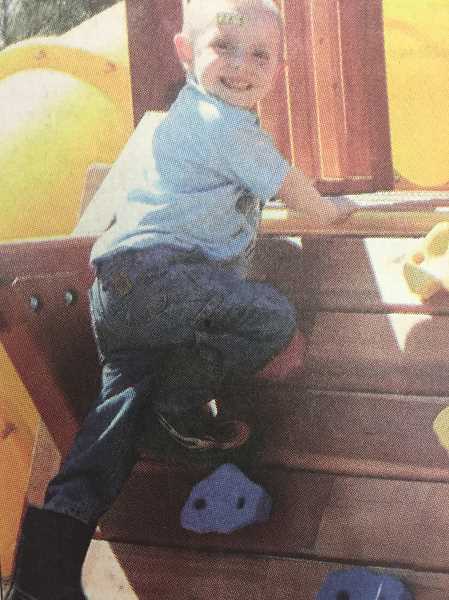 The Make-a-Wish Foundation had recently granted young Estacada resident Mikey Miltenberger's request for a play structure. Miltenberger had been diagnosed with leukemia the year before. Estacada Rock, Boring Bark, Rainbow Magic of Portland and Hagen Grocery all donated materials for the project, which was coordinated by Shawna Peters of the Make-a-Wish Foundation Oregon chapter. Miltenberger's father Tom said he greeted the builders with an enthusiastic "I'm so excited, I'm so excited!" The annual Writers Night was coming up at the Springwater Grange. The event featured writers Nikki Schulak, Joanna Rose and Stevan Allred, who would read works based around the theme "A Night at the Beach." Allred read an excerpt of his novel "The Alehouse at the End of the World," which opens with his protagonist on a beach at the start of a quest. Schulak read her essay "On Not Seeing Whales," which is about whale watching and living with a brain tumor, and Rose read from "Everybody's Rules for Scrabble," in which the protagonist travels to the beach at Vancouver Island to throw a loved one's ashes into the ocean.